When you and your partner greet each other after a long day apart, what do you do? Hug, with your head in that special place on your partner’s chest (especially if your partner is taller!). Hearing each other’s heartbeat and breathing in sync is relaxing; that feeling of togetherness can make your whole day feel better. Guess what? Your baby feels the same way about you! Especially for his first three months, your body is all your baby knows. You’ve been literally connected during the three trimesters of your pregnancy. Thinking of those initial months as the “Fourth Trimester” after birth brings “home” the realization that the two of you are still connected as your baby learns about life outside the womb. Right now, you’re still his whole environment. Resting on your chest helps regulate your baby’s breathing, temperature, and heartbeat. 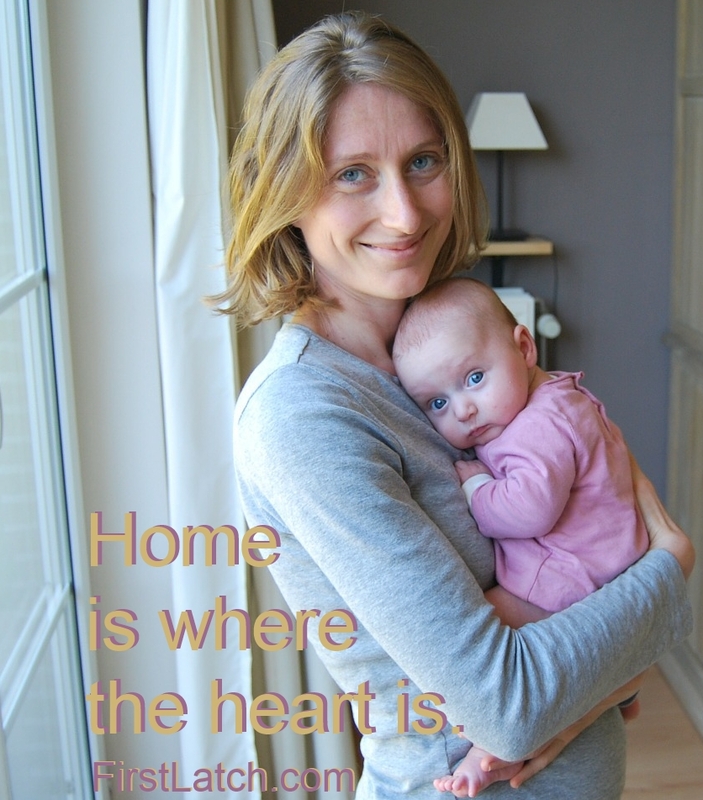 No wonder babies love to be held in that special “place,” right above your heart.